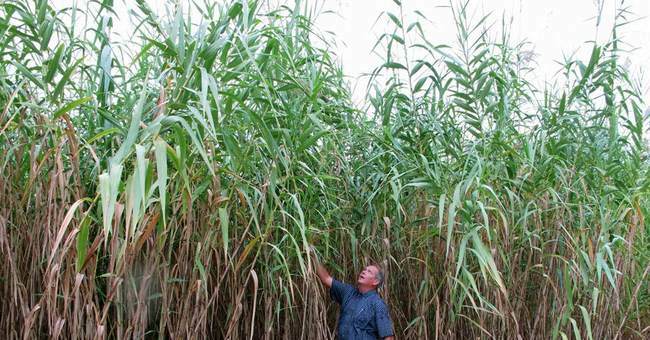 The biofuels industry is abuzz this week. Industry executives are taking a close look at a new contract in place between industry veteran Solazyme (Nasdaq: SZYM) and consumer goods giant Unilever (NYSE: UN). In a move to make cosmetics with sustainable ingredients, Unilever will buy at least 10,000 metric tons of Solazyme's algae-derived oils. The move is an important endorsement for Solazyme's technology, but it doesn't bring the company any closer to its goal of becoming a provider of alternative fuels as well. Indeed, in the decade since Solazyme was founded, the company and its rivals have poured hundreds of millions of dollars into alternative fuel research. Yet progress has been slow. And investor patience is wearing thin. The Solazyme/Unilever deal is important in another respect. Though Solazyme is still likely to lose money in 2014, it will now move closer to breaking even, and the Unilever contract will enable the company to once again access fresh capital through a secondary share offering, if need be. Solazyme's rivals can't say the same. The entire biofuels industry has been a savior for investment bankers, and you can get a sense of the serial fundraising by looking at their share counts. Solazyme is an industry exception, as it has raised fresh funds primarily through milestone payments form licensing partners. Solazyme's share price is now above $10, though the rest of these stocks trade for roughly $2 apiece. That price indicates that investors believe these companies will need to raise money yet again, though it's unclear that there is any desire for investors to participate in future capital raises. Taken as a group, these stocks are down 30% this year. Analysts at Goldman Sachs say "underperformance (for this group) has largely stemmed from disappointing execution and more recently, increasing liquidity concerns and thus potential for greater shareholder dilution." As a result, an industry shake-out may be at hand. You can get a sense of how close to bankrupt these firms are by looking at their cash burn for the first six months of 2013, and how much cash they have left. Amyris (Nasdaq: AMRS) raised $60 million in fresh capital this summer, which buys the company another three to four quarters before the money runs out. KiOR (Nasdaq: KIOR) has a huge funding gap, relative to its expansion plays and it's not clear if the company will be able to raise the money it needs. Dyadic International (Nasdaq: DYAI), to its credit, is generating positive cash flow, and management has repeatedly emphasized that no new shares will be issued to shore up the balance sheet. Most of these firms have recently opened (or will soon open) production facilities to start producing products in high volumes. The five companies (excluding Dyadic) expect to see sales grow from $162 million this year, to $541 million next year, marking a true industry inflection point. Yet it's not clear that the cash problems will go away. Indeed, analysts expect all these companies to generate hefty earnings per share (EPS) losses again in 2014, despite the benefit of rising revenue. And before these companies can break even, they will need to scale up production even further, which will require more cash. At this point, it would appear that Solazyme is the best house in a bad neighborhood. Commenting on the Unilever deal, Goldman Sachs' analysts noted that the contract signing was the "long-awaited major customer event that could start to put some of the bear concerns around demand visibility to rest." These analysts, who have a "buy" rating and a $14 price target, see Solazyme's revenues climbing to $491 million by 2015. Equally important, the company may generate $120 million in earnings before interest, taxes, depreciation, and amortization (EBITDA) by then, according to Goldman. The analysts note that another major deal announcement (with Dow Chemical (NYSE: DOW)) may also be in the offing. On the flip side, KiOR appears especially vulnerable, as the company will likely need to raise an additional $500 million over the next 18 months to build out the production facilities it will need to reach its break-even point -- a true chicken-and-egg conundrum. My colleague Andy Obermueller has spent a great deal of time researching this industry for his Game-Changing Stocks advisory. He thinks the least well-known stock in this group, Dyadic International, actually holds some of the greatest industry promise. The fact that the company is committed to staying cash-flow positive is a real plus, as far as I am concerned. Risks to Consider: Some of these companies appear ill-equipped to raise yet more capital, which could lead to a run on their stocks as cash balances dwindle. Action To Take --> It's clear that this industry has made real technological process and revenues are finally taking off as new plants come on line. But that doesn't necessarily translate into operating profits. So it's wise to scrutinize each of these businesses for their potential EBITDA generation, based solely on current contracts and production facilities. By those measures, only Solazyme and Dyadic appear to have sustainable business models. P.S. In his newest report, my colleague Andy Obermueller is predicting that a tiny company could rise up next year to kill the gasoline engine. Our previous predictions have made investors 89%... 92%... 293%... and even 310% gains in a year. To hear our latest, including a bizarre plant from the Midwest may end America's dependence on foreign oil, click here.